The Walt Disney Company had a conference call about their third quarter earnings for 2014 on Tuesday, Aug. 5. Most theme park/Disney blogs are picking up on one comment Bob Iger made early on in the call, saying that Star Wars will have an increased presence in the parks. The reality is, this isn’t the first time this has been mentioned by Bob, nor is it the first time it’s even been hinted at by the Company. 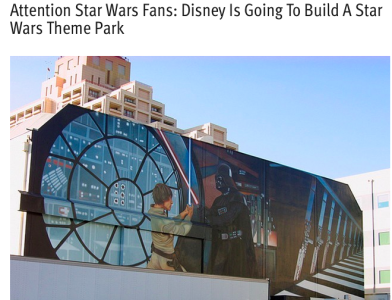 Regardless, no matter what you read… Bob and Jay did not say there was a new Star Wars theme park in the works, despite what some bloggers are already touting. Woah… did you catch that? 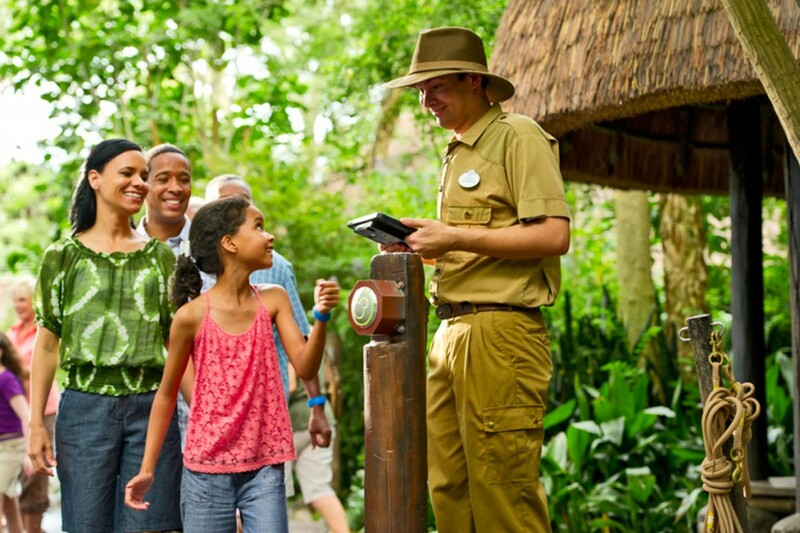 90% of guests rate the experience as excellent or very good! Yet, if you read countless message boards, blog posts or even Twitter/Facebook feeds… WDW fans online have called this program a failure from the beginning. 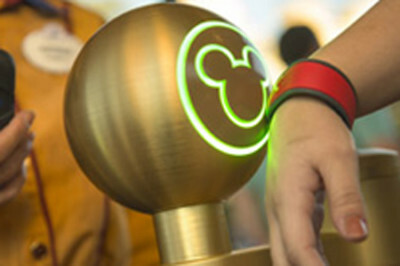 I’ve said it many times, the disconnect between what the online community thinks of MyMagic+ and the reality of what the “average” guest (who doesn’t spend all their time online talking or reading about it) is often a huge gap in how they react to MagicBands. Yes, often times Disney fans don’t care for change. I have chronicled this in other articles from “sit in” protests at Mr. Toad’s Wild Ride to the new Club 33 remodel. People want Disney to be what they remember when they were younger. Nostalgia and operational reality often collide when it comes to fans that are often overly passionate about what they hold near and dear to them. 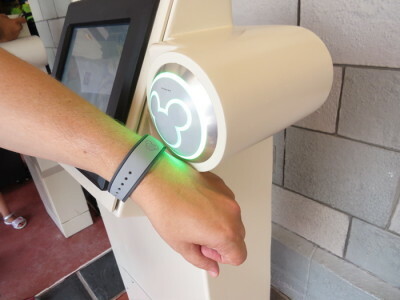 In the case of FastPass+, those of us who used to go to the park and gobble up FastPasses for Space Mountain, Splash Mountain, Big Thunder Mountain Railroad and Peter Pan’s Flight all in one day got to skip many a lines because… well… we know how to work the system. Those who didn’t or weren’t as savvy lost out. With this new system, the “big rides” are now more easily accessible to a larger audience because the most popular rides are now limited to how many guests can get per day. 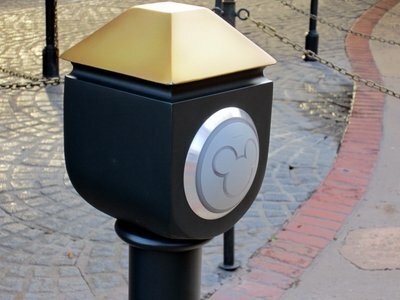 It was a move to make those highly coveted FastPasses more fairly distributed and it seems guests are responding positively as a whole, even if the online community passionately disagrees. I read a lot of message boards and reviews of MyMagic+, often times the people who are commenting on how terrible it is haven’t even used it yet. Sure, there are those who have used it and hate it for various reasons (see above), but many fans… simply because of hating the very idea of this… won’t even give it a chance. Look at it this way. Let’s say you hang out on a message board that hates MyMagic+… there are literally hundreds of posts about how horrible it is. You read all of these posts, with the few positive ones sprinkled in, and book your trip to Disney. It’s quite possible that you won’t enter the experience with an open mind. I know plenty of friends who just like to “wing it,” although the growing trend in travel is to pre-plan as much as possible. It doesn’t mean everyone is doing it, but it does mean that many tourists like having so much information at their fingertips as what to do and when. And if they are given the chance to skip up to three lines a day in advance, they take the opportunity. It’s not for everyone, but those who do take advantage of pre-planning reap the benefits. They always have: they get all the restaurant reservations, cheaper flights, and even tickets to shows before they sell out. This is nothing new. From a company perspective, pre-engagement means everything. If you start to book reservations, from dining to FastPass+, you are far more likely to follow through with your vacation and stay on Disney property for longer. Everyone in the industry wants those extended stays. Essentially, the more involved you are with your trip planning, the more likely you are to spend more money and stay longer as a result. I also realize there are those who simply won’t believe the guest satisfaction ratings Iger cited in the conference call. I can’t convince you otherwise. And frankly, even I don’t know if they are lying or not. However, I can tell you, from hanging out at the parks and striking up conversations with random guests, I can tell you there are many who have told me that MyMagic+ is the best thing to ever happen to Walt Disney World. Seriously… I have heard it several times. However, it seems that the online community sits on the other side of that fence. What I am curious about is… how much damage has it done? How many people have decided to not ever go to Disney again because of this? I would love to know if that’s you in the comments section below. Likewise, if you’ve had a positive experience with MyMagic+, I would love to hear about that too. This entry was posted in Disney, Editorial, News and tagged 2014 third quarter conference call, Bob Iger, guest satisfaction, Jay Rasulo, MagicBands, MyMagic+. 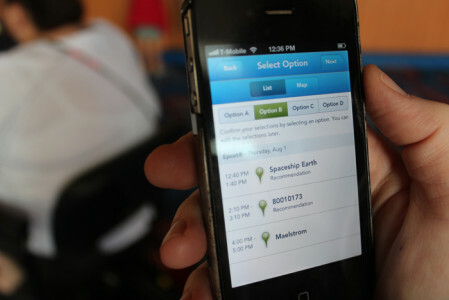 FastPass+, online communities, The Walt Disney Company. Bookmark the permalink. Trackbacks are closed, but you can post a comment. Thanks for, once again, reinforcing the fact that the vocal (and minority) fan base of die-hard “fans” does not represent most guests’ experiences. Your article about Club 33 was spot on. This article makes the excellent point one more time. Those of us who visit the parks multiple times are having a different experience. And many of us fans have potentially higher expectations. And so we can easily become disappointed that Disney did not live up to the impossibly high standards we have built in our heads. Those of us who are in the parks a lot – the fans, the passholders, the critics – have to remember there are a world of experiences going on around us. I have heard passholders, in overhearing someone using foul language, say “How can they talk that way with children around?” However, it never crosses their minds that there constant bitching, moaning, and complaining about quality or details or whatever pet peeve they are currently harboring is also being overheard by those children – children for whom it is their first visit, there first experience with the wonder that is Disneyland/World/et al. How can they talk that way with children around? I agree with this article. I loved FP+. My only complaint is it isn’t comprehensive enough. Nonetheless, arranging Fastpass rides, redeeming dining reservations, taking pictures, making purchases, and opening doors are such an amazing convenience. One thing I noticed in my debates over FP+ is what constitutes the best attraction strategy. The detractors seem to prefer quantity over quality. If you’re limited to say 3 FP+ attractions and are allowed more afterwards, should you get the three that you want at the most optimal times where the park is most crowded as this is my advice, or their advice of getting the three in the mornings so you get them out of the way and then hope to get more. Of course, they don’t want to get the three most popular attractions. They really hope to get them later at risk that they will fail. My feeling is the detectors are most cynical and they really hope to fail to use fastpass properly and prove the system is defective.